Welcome to ContractorUK, home to the UK’s IT contracting community. Online since 1999, the site is a trusted source of information and news for contractors for 20 years. ContractorUK continues to set the news agenda for the IT contracting industry, keeping contractors informed on tax issues, market demand, jobs, IR35, new legislation and much more. These are just some of the reasons why ContractorUK is extremely successful in attracting new visitors, along with a growing base of loyal, returning visitors. ContractorUK was named as a finalist for Best Employment Advice Website and Best Trade Publication in the 2018 National Online Recruitment Awards. 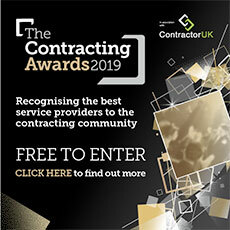 ContractorUK is also proud to be named the official partner for The Contracting Awards 2019 which will celebrate and recognise exceptional service providers in the fields of accountancy, recruitment, tax, financial services and much more. Anthony has worked in the contracting industry for over 10 years as the MD of ContractorUK. He has a Master’s Degree in Marketing and is qualified via the Chartered Institute of Marketing. Anthony is involved with building partnerships across the contracting industry and commenting on contractor related news. Juliette has worked in the contracting industry for over 20 years. Many of our existing advertisers have been with us for years, reflecting Juliette’s extensive knowledge of the contracting market, relationship management and the high quality of leads we continue to generate for our advertisers. Laura has worked at ContractorUK for nearly 6 years and is qualified with a Professional Diploma in Digital Marketing via The IDM. She is responsible for co-ordinating newsletters, updating social media, extensive optimisation on Google for thousands of contract search terms, affiliate partner management and much more. Simon writes impartial news and engaging features for the contracting industry and has done so for over 15 years. He trained under NCTJ-approved journalism tutors before working in the newsrooms of leading consumer, local and national media titles. He covers everything from the IR35 and the loan charge to general tax and legislation. Have you found ContractorUK to be a valuable source of news and information for the contracting industry? Why not leave us a review on our GoogleMyBusiness or Yell.com page. For more information regarding marketing opportunities please visit our advertising page, and for more on our news and contractors’ questions please find contact details here. How does ContractorUK make money? ContractorUK generates revenue through working with advertisers and affiliate partners to provide our readers with relevant service provider information and contacts.